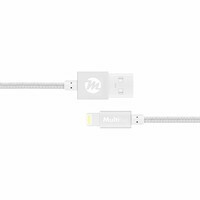 Looking for a thin, stylish and good protection for your iPhone X? 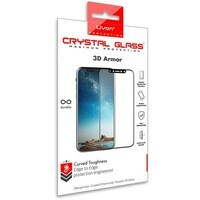 Then this transparent TPU Case with fashionable print design might be the one for you. The iPhone X Flamingo Watercolor Pink Bird case is a cheerful and durable back cover, and will keep your phone well protected. The case is made especially for your smartphone, ensuring a perfect fit without loosing any of its functionalities. 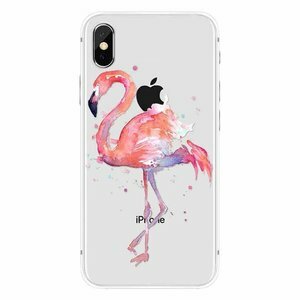 This Flamingo Watercolor Pink Bird Case for your iPhone X is made of high quality TPU material. This TPU material is soft and flexible, but retains its shape even with intensive use. The soft TPU of the Indian Feathers cover offers your device excellent protection against scratches, bumps, dust, dirt, and other daily damages. The TPU Flamingo Watercolor Pink Bird Case has a non-slip surface that makes the case feel good, and also ensures a perfect grip on your iPhone X. 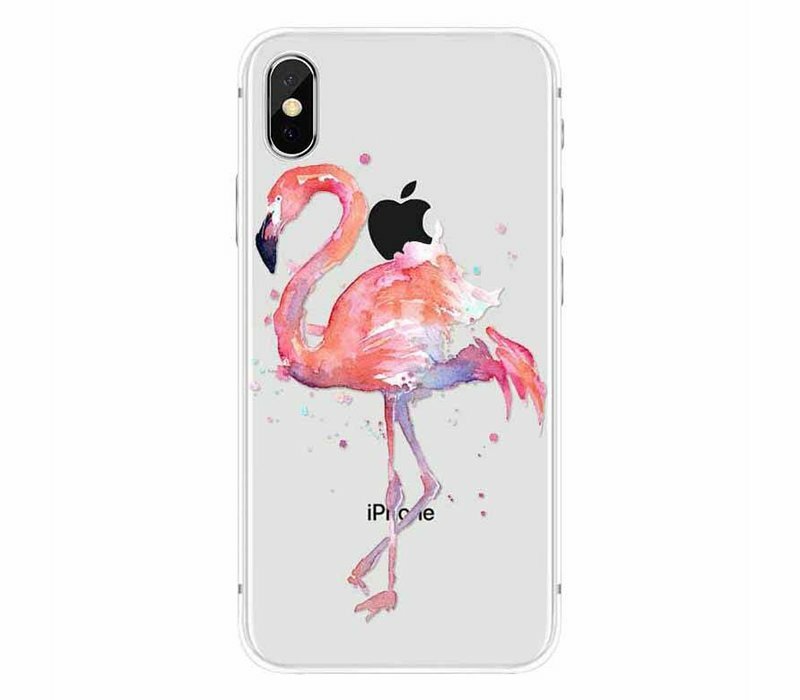 In addition to a excellent protection, this iPhone X Flamingo Watercolor Pink Bird Case also offers a beautiful look to your smartphone. As the name suggests, the Indian Feathers Case has a cheerful print to add a personal touch. The print pattern gives your smartphone a stylish and fashionable look and because the cover itself is transparent, you keep the sleek design of your iPhone X. At the same time, strategically placed recesses ensure that you can continue to use all your functions without hindrance. This applies to functions such as the buttons, ports, speakers and the camera.